Our regular summer opening runs through from the start of June, until late September, for more information please click here. Additional public events will be advertised here on our website. The Windmill will be open to the general public on Saturday 6th and Sunday 7th April from 2-4 pm. Pre-booking for this event is not required. 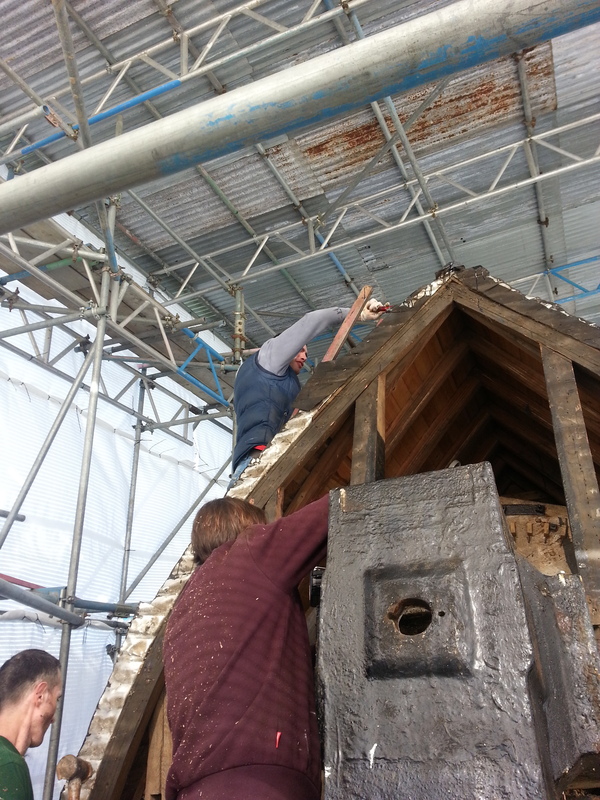 Come and visit the windmill for the first time in 2019 and see the restoration work that's taken place over the winter months. The Windmill will be open to celebrate National Mills' Weekend this year on Saturday 11th and Sunday 12th May between 2 and 4 pm on both days. Millwrights from IJP Owlsworth were with us on 21st and 2nndFebruary 2018 and the fully refurbished sweeps were returned from their workshops near Reading. The first pair of sweeps was fitted successfully on Wednesday morning but despite heroic efforts by the team, rising wind speeds and failing daylight prevented the fitting of the second pair. 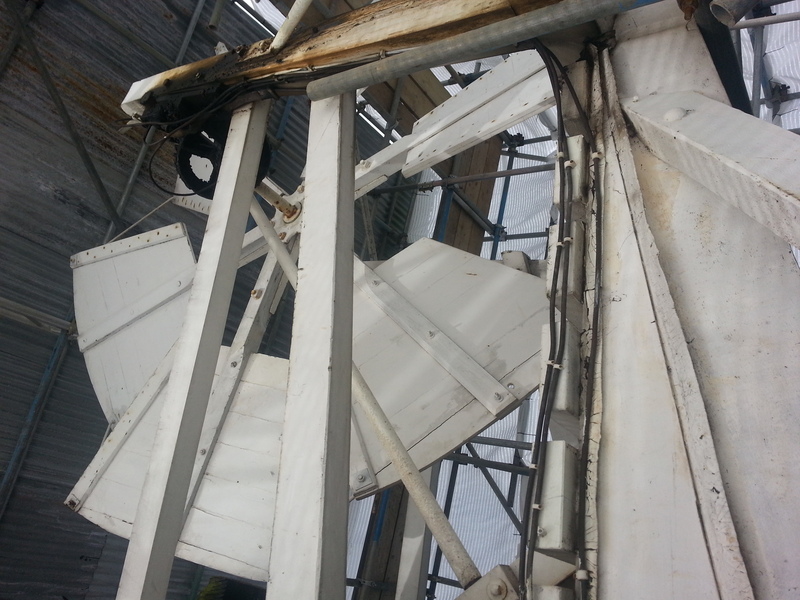 The wind was much stronger on Thursday and so the work had to be halted and the second pair remains on the ground until the job can be reprogrammed in better conditions. We are looking forward to the mill working again in the near future. The completed project will see the mill in the best condition that it has been in since its original restoration in the 1970s. 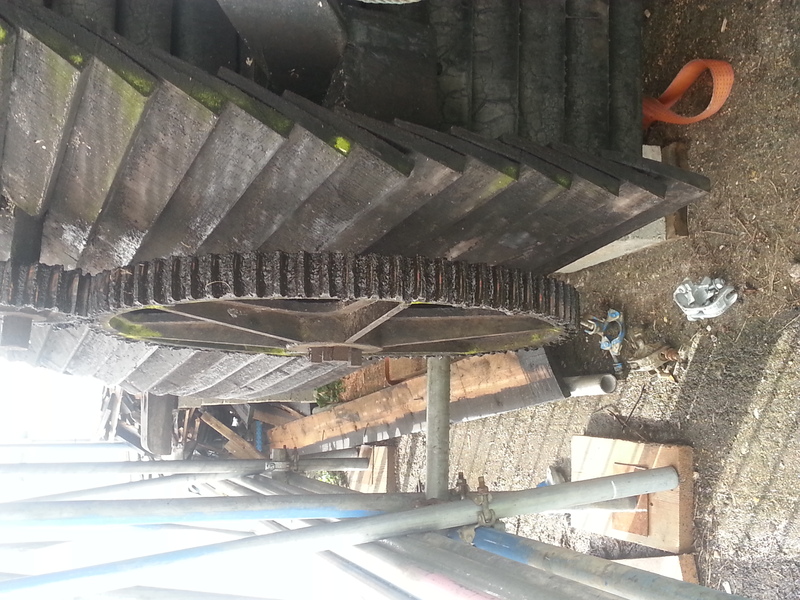 The cap was removed from the Windmill in December 2016 by IJP Millwrights of Henley-on-Thames in order to replace the rotten weatherbeam and carry out other essential repairs to the cap. 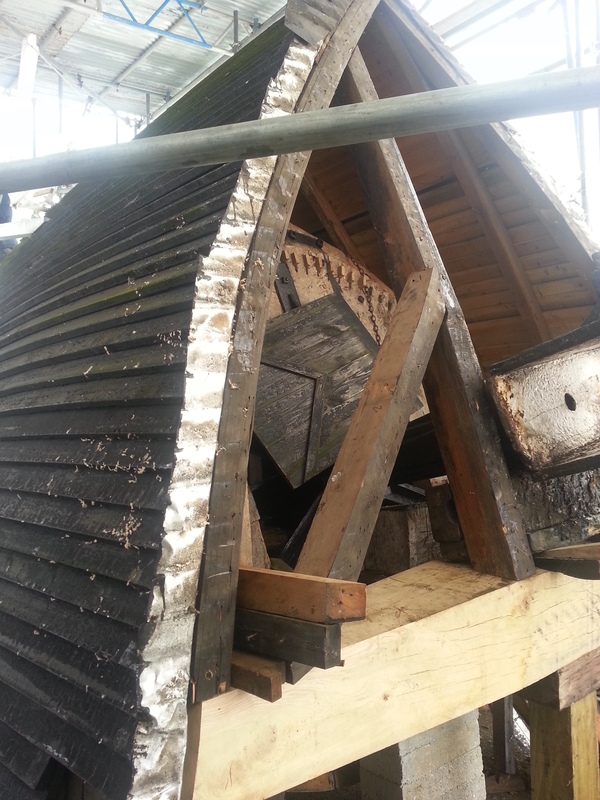 These repairs are now well underway and the trust are looking forward to the restored cap being returned to pride of place at the top of the Windmill. The following photos were taken in early March 2017 and show the current progress of the Cap restoration. Photo credits all Drapers Windmill Trust.